The limit of navigation on the Bridgewater Canal is Waterloo Bridge at Runcorn. Immediately beyond is the approach road for the Runcorn Road Bridge which severed the canal and prevented restoration. A new Mersey Gateway Bridge is scheduled for opening in late 2017 providing an alternative route for most of the traffic. 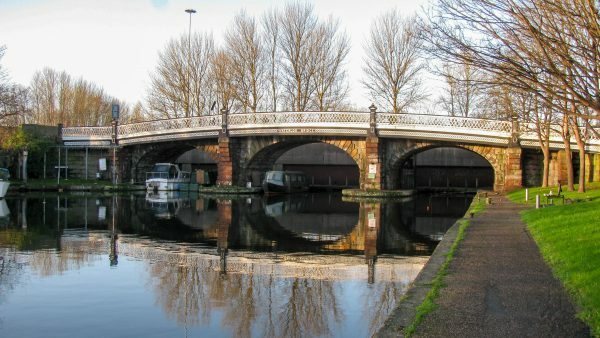 It may be possible for the old bridge approach roads to be modified after that to permit restoration of the Bridgewater Canal.